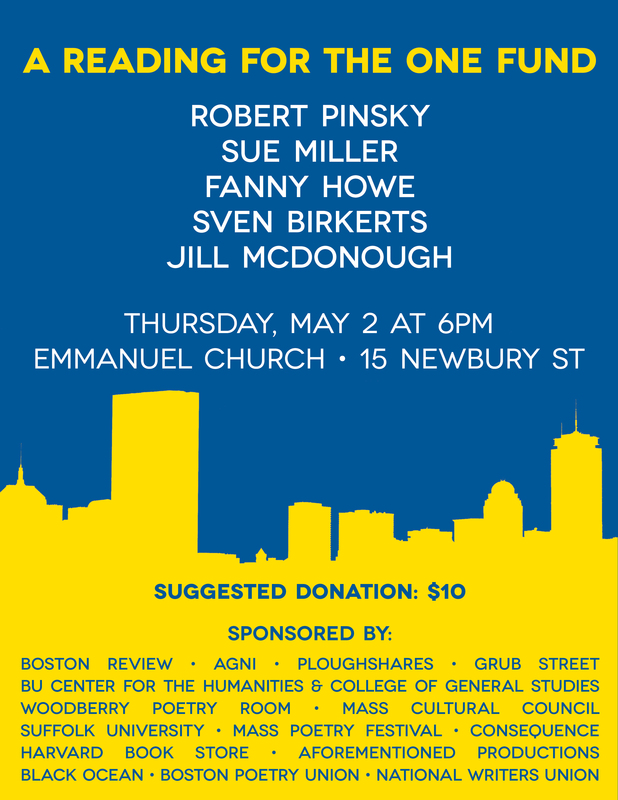 As some of you know, we are based in Boston and we’re very proud to be one of the sponsors of a reading next Thursday to help raise money for The One Fund. We hope that you’ll join us, along with an all-star group of readers including Robert Pinsky, Sue Miller, and Jill McDonough, to support this important cause. Two poems by Michael Lynch Pushcart Prize nominees I Have Been Reading a Lot About Myself Lately by Carmella Fleming Underlife & Portico Release Party/Reading!